From KYC to sustainability preferences, from market-driven to policy-based standards, sustainable finance has come a long way. Julie Becker gives an overview of the latest market developments in an interview with State Street. How did Luxembourg come to take the lead in Europe in the field of green finance? The same way it took the lead in the financial sector as a whole, with forward-thinking policies, flexibility and agility. This small country has an incredible capacity for seizing opportunities and leading the way. Green finance was almost a no-brainer. Luxembourg already had the right assets - some 140 banks, EUR 4.2 trillion in assets under management and the headquarters of the European Investment Bank (EIB), the world’s largest issuer of green bonds. Luxembourg is the largest European fund domicile and the second largest fund centre in the world after the US. In addition, over a third of responsible investment funds in Europe are domiciled in Luxembourg. We have built on this strong foundation and now the country has a full toolbox dedicated to green finance: a green exchange (LGX), a fund-labelling agency (LuxFLAG), a climate finance accelerator, a Luxembourg-EIB climate finance platform and many more initiatives. 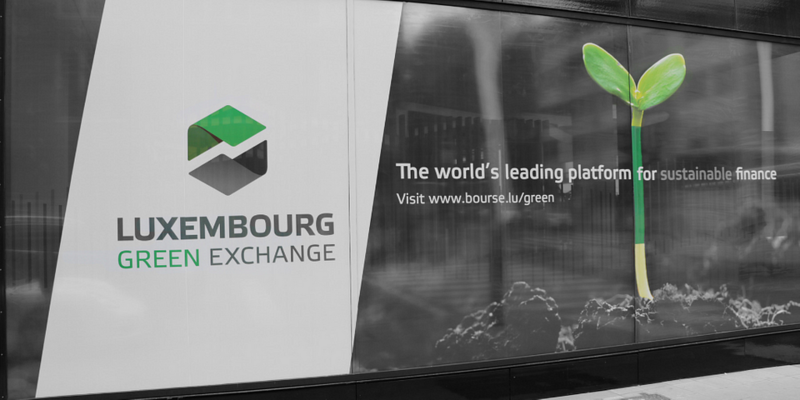 The Luxembourg Green Exchange (LGX) lists green, social and sustainable securities worth over 100 billion EUR. The setup of LGX marks the first time that a stock exchange required green securities to adhere to strict eligibility criteria. Why did the Exchange decide to make these best practices for green securities a mandatory entry requirement? When we created LGX in 2016, the green bond market was gaining traction. In a context where there were no clear definitions of what ‘green’ means and where market best practices were applied on a purely voluntary basis, the challenge was twofold. On one hand, we had issuers who wanted more visibility and recognition of their efforts to provide additional information on their green bonds and, on the other, investors looking for more clarity and better information on the projects financed and their impact. So, we’ve built the infrastructure to bring them together, but since there were no clear standards in the market, we were confronted with a new challenge: how to build confidence between issuers and investors. We are convinced that the only way to build trust is through transparency. Did you encounter any roadblocks to getting LGX off the ground? There were no roadblocks as such, but it was a bold step to impose mandatory requirements in a market reigned by voluntary guidelines and no harmonized standards. We spent a lot of time talking with different stakeholders and trying to understand their needs, their challenges and their expectations. We didn’t know what to expect after the launch. We’ve created LGX in 6 months and many thought it was just a wild idea. This is why we started slowly, one-step at a time – first, green bonds; six months later - social and sustainability bonds; and, in May this year, we launched a ‘window’ dedicated to socially responsible investment (SRI) funds. Can you explain what the international green taxonomy is and why it matters for sustainable investing? When we talk about ‘green taxonomy’, we mean a classification of activities that enables us to understand what qualifies as ‘green’ and what doesn’t. It may seem a small detail, but it’s not. The lack of clarity as to what constitutes green finance activities and products (such as green loans and green bonds) can be an obstacle for investors, companies and banks seeking to identify opportunities for green investing. Taxonomy enables objective descriptions and comparisons, as well as the development of standards and labels to guide the choices of market participants. In Europe, we’re already moving towards developing a common language. In its Action Plan on Financing Sustainable Growth, the European Commission made taxonomy its top priority and it has appointed a Technical Expert Group to work on it. The Luxembourg Stock Exchange is well represented within the group and we have always been involved in the discussions around taxonomy, because we believe it’s the backbone of any strategy aimed at mainstreaming sustainable finance.